Almost anyways. 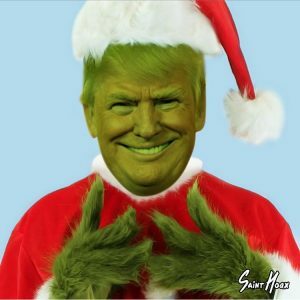 In honor of the holiday season, I decided to tweak the lyrics to Dr. Seuss’ ‘You’re A Mean One, Mr. Grinch‘, from the classic animated short ‘The Grinch Who Stole Christmas’. Hope you enjoy! It’s pretty bad when a fictional character can undergo character growth, while a real human appears unable.